African mobile users have spent an average of over four million hours reading books on their mobile phones so far in 2018, representing a 32% increase from 2017. This is according to a survey conducted by Web browser company, Opera Mini, in partnership with global literacy non-profit, Worldreader, in light of World Literacy Day on 8 September. The research provides insights into the mobile reading habits of almost two million Worldreader app users on the African continent. In addition, Opera Mini ran an online survey of 1 500 women and men aged 14 to 44 from various parts of the Africa continent, to learn more about their Web browsing habits on their mobile phones. The study reveals that Nigeria, SA and Ivory Coast are the countries with the highest mobile and online reading populations in 2018. Furthermore, 65% of mobile readers on the continent are men, while 35% are women. The study reveals women in African countries are as tech-savvy as men, when it comes to browsing the Internet using their mobile phones. "Women are using their browsers as often as men; with the majority of female survey respondents in Kenya and Nigeria (60%) stating they access their mobile browsers more than eight times a day. Furthermore, women tend to spend 11.5 minutes reading on average, while men read 6.5 minutes per session, making women more frequent readers. "On average, there are more than 414 000 monthly e-book readers across the African continent, with most readers preferring books related to love and romance, especially those that come from local authors and publishers," it notes. According to the study, millions of people do not read for one reason: they do not have access to text. However, mobile phones and cellular networks are transforming a scarce literacy resource into an abundant one. "Mobile technology is significantly advancing literacy and learning in underserved communities around Africa. 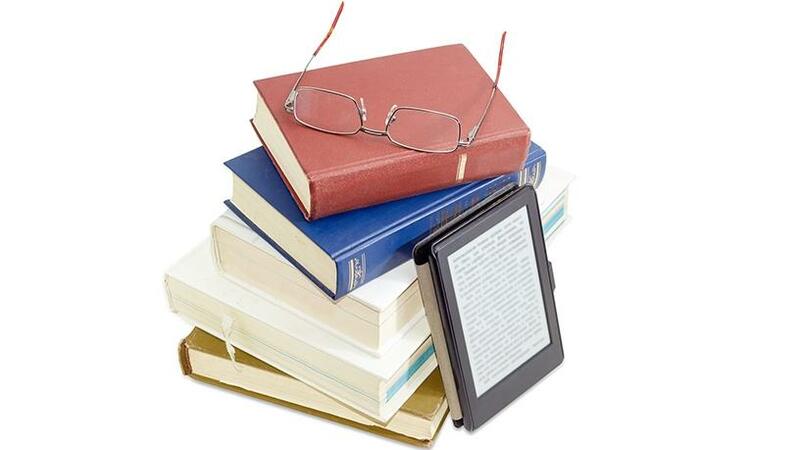 Affordability of mobile phones together with the data saving technology have been key to the increase in access to free electronic books," it points out. According to Zenith's Mobile Advertising Forecasts 2017, in 2018 around 66% of individuals in an array of 52 developed and developing countries, including SA, will own a smartphone. This number, according to the report, represents a 63% increase from 2017 and a 58% increase from 2016. However, the rapid expansion of smartphone ownership across the world is expected to slow down as penetration reaches 80%-90% in the most advanced markets, notes the study. According to the latest report of Groupe Sp'eciale Mobile Association (GSMA), "The Mobile Economy Sub-Saharan Africa 2018", at the end of last year, there were more than 444 million unique mobile subscribers and 250 million smartphone users in Sub-Saharan Africa. These numbers represent a big opportunity to bring reading to millions in the region through technology, says GSMA. "We know that mobile phone affordability and the convenience of owning one are two big reasons why we are seeing more and more people accessing our e-book collection through their mobile devices in Africa," says Colin McElwee, co-founder of Worldreader. "Our partnership with Opera Mini is a perfect match. With Opera browser being the number one choice for mobile users across Africa, it provides an incredible opportunity to get people reading." GSMA predicts 80% of the 800 million people in Sub-Saharan Africa will have a mobile device by 2020, pushed by the growing popularity of over-the-top services and mobile banking. In SA, 88% of households had access to at least one cellphone in 2017, up from 87% the year before, according to Statistics South Africa's General Household Survey published in June. Opera Mini has developed e-books technology that compresses text and images to 10% of their original size, reducing data consumption and the cost of data on a mobile phone and allowing users to spend more time reading and downloading books when using Worldreader. The partnership between Opera and Worldreader started in 2015 with the aim of bringing free e-books to millions of mobile users in Africa through Opera Mini's affordable mobile browser. "We are very happy to contribute to literacy in Africa with our Opera Mini browser as we give mobile users access to Worldreader's vast library of great books," says Jan Standal, VP of product marketing and communications at Opera. "Since we started this partnership, we have added more than nine million new readers in Africa who now enjoy books from different genres such as romance, adventure and education, among others."